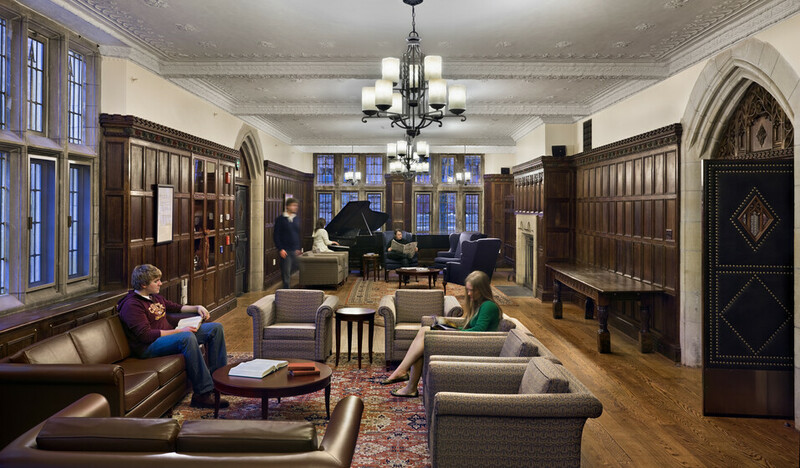 The new lighting for Jonathan Edwards College, Yale’s oldest residential college, was designed to enhance the neo-Gothic interiors using more efficient, longer life technology to meet university standards for energy conservation, sustainability, and maintainability. 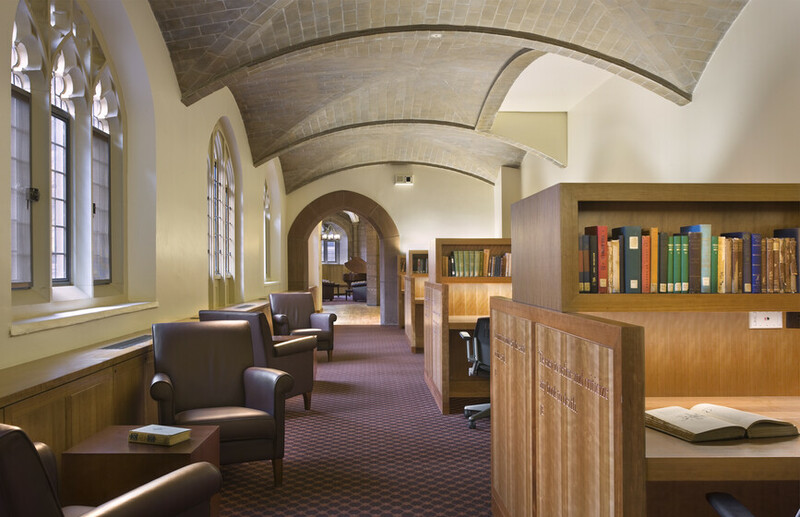 Atelier Ten collaborated with Yale’s planning, architecture, and engineering team to develop a comprehensive scheme to update the lighting and improve the visual experience in this intricate, historic building. 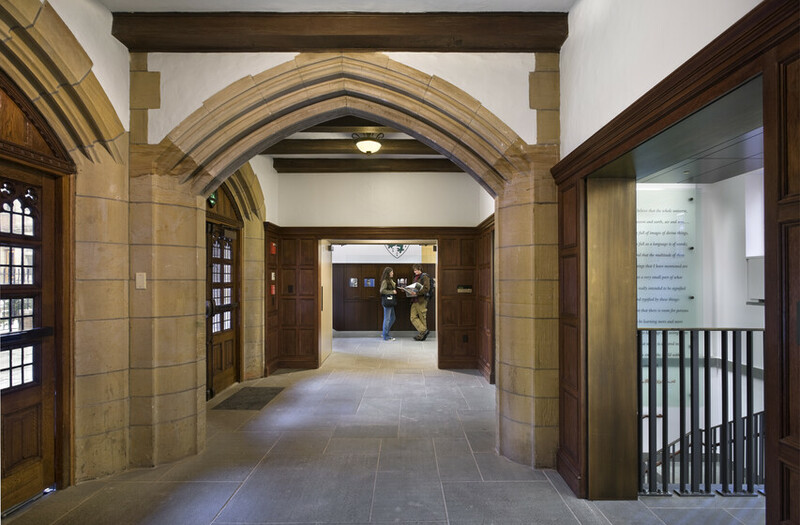 The fundamental concept was to illuminate the restored stone, masonry, and wood interior materials using simple luminaires integrated with the architecture, which was originally designed by James Gamble Rogers and built in 1926. 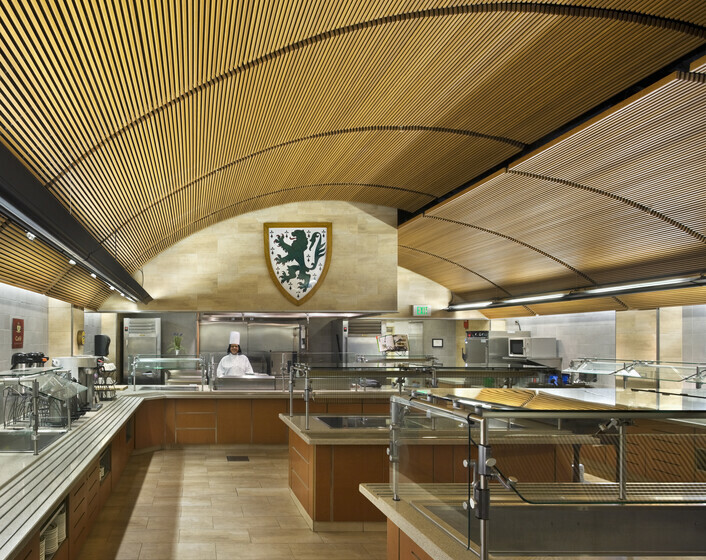 By combining fluorescent, compact fluorescent, and minimal incandescent lighting, light levels were improved while the lighting power load was reduced to easily meet Yale and energy code standards. Vintage luminaires were refurbished and reused throughout.